VJing is a broad designation for realtime visual performance. Characteristics of VJing are the creation or manipulation of imagery in realtime through technological mediation and for an audience, in synchronization to music. 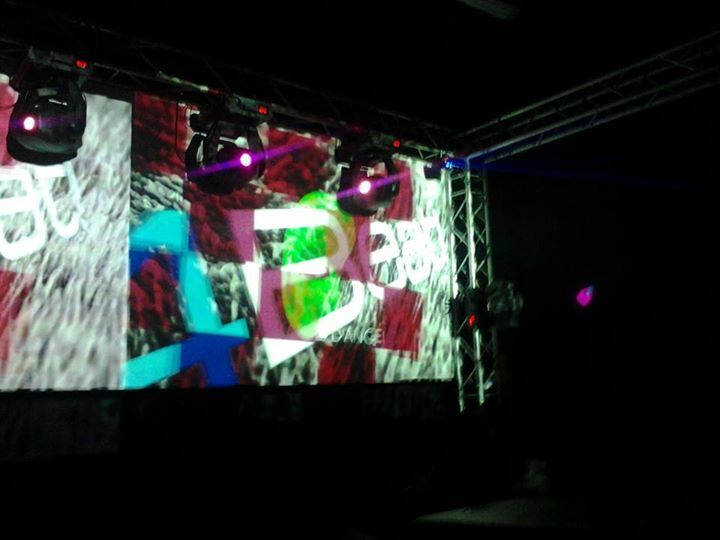 VJing often takes place at events such as concerts, nightclubs, music festivals and sometimes in combination with other performative arts. This results in a live multimedia performance that can include music, actors and dancers. The term VJing became popular in its association with MTV’s Video Jockey but its origins date back to the New York club scene of the 70s. In both situations VJing is the manipulation or selection of visuals, the same way DJing is a selection and manipulation of audio. One of the key elements in the practice of VJing is the realtime mix of content from a “library of media”, on storage media such as VHS tapes or DVDs, video and still image files on computer hard drives, live camera input, or from a computer generated visuals. In addition to the selection of media, VJing mostly implies realtime processing of the visual material. The term is also used to describe the performative use of generative software, although the word “becomes dubious (…) since no video is being mixed”.